Goods results again for the Prospeed team, with 2 drivers on podium at the Oulu Junior Karting race in Iinatti Circuit, Finland. 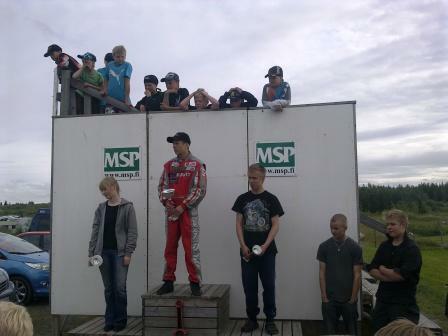 Robin Pirhonen, won in the CADET class, while Samu Kylmälä was the winner in the Yamaha class. Congratulations for the new good result.